Environmental requirements have seen electric technology establish itself as a solution of tomorrow and Renault is all prepared for the change. 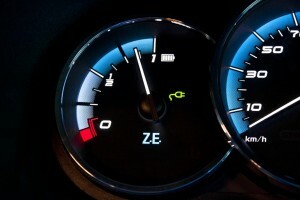 When it comes to electric vehicles, consumers are sceptical. Various reasons for that – lack of infrastructure, time consumed for charging the spanking new electric car and even the lack of feasible options to charge the car if you’re not staying in a landed property. But it seems like Renault has played out the different possibilities as well as solutions. No doubt that it’ll take some time, the French’s plan of ‘electric power’ seems to be looking positive. Hopefully then, in the near future, this form of ‘power’ will see the development of a range of vehicles that will deliver a holistic gain in terms of respect for the environment. Unveiled as a concept at the 2009 Frankfurt Motor Show, the Renault Fluence Z.E is aimed at corporate as well as private customers and fleet operators looking for a status-enhancing vehicle which is both economical and more respectful of the environment. Not only is it affordable, at a price of $175,000, it’s an all-electric full-sized saloon that completes Renault's offer in this segment with a version that doesn’t produce any emissions when driven on the road. And there are no compromises on its looks, inside and out. On first glance, the car is instantly recognisable as a Zero Emission Fluence. 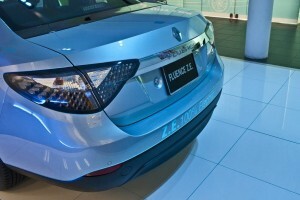 Aside for the badging, the design of its taillights and chromed blue Renault logo are giveaways for passerby to spot. The sides have consequently been redesigned to maintain the visual balance of the original version. Employing fluid, crisp lines, the Fluence Z.E. features longer quarter panels which harmonise with the longer rear overhang. Hence, this electric version is 13cm longer than the internal combustion-engined model, enabling the batteries to be located behind the rear seats. Although this compromises on boot space, the car is still able to fit five occupants with ample space all round. 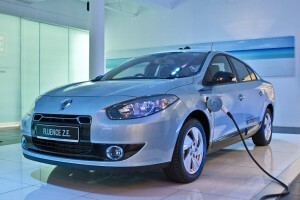 According to Renault, the Fluence Z.E takes up to 8 hours for a full charge but will only cost the driver a mere $6 and it will be more than happy to pot the driver around the sunny island until it maxes out its battery life at an average of 110km-150km. Tested by Renault’s electric specialist this figures are obtained when driven with both radio and air-conditioning turned on. On the road, the electric sedan is as quiet as it comes. You would even need to steal a glance at the tacho to know that you’re ready to move out of the parking lot. Despite it consuming power rather than petrol, the Fluence Z.E has a couple of features and advantages over its petrol twin. First, it comes with cruise control – something that’s missing on the Fluence. Second the weight distribution is more stable, thanks to the 48 modular battery pack located at the rear. This allows drivers to swerve round bends and out of turns in an extremely easy and confident manner. On the straights, a maximum output of 70kW (95bhp) and 226Nm of maximum torque will send the 1.6 tonne Z.E to the 100 km mark in 13 seconds when floored. In the real driving world, this feels slightly faster than what the paper would suggest. But more importantly, the battery life appears to be lasting despite our drive round the stipulated route. It wasn’t a long drive, but we drove harder than we should, pushing the limits of the battery. Nevertheless, according to Renault, if you reach the limits of your battery, the vehicle doesn't come to a sudden stop but continues to drive at reduced speed for several kilometres. This allows you to get away from traffic, so that you can call breakdown assistance, who will tow your vehicle free of charge to a battery charging point. Renault provides a complimentary and comprehensive 24/7 breakdown cover for all Fluence Z.E customers to give them a peace of mind. This programme covers breakdowns related to the vehicle, its motor or its battery. It also covers flat batteries, whereby you will be towed to the charging point of your choice.